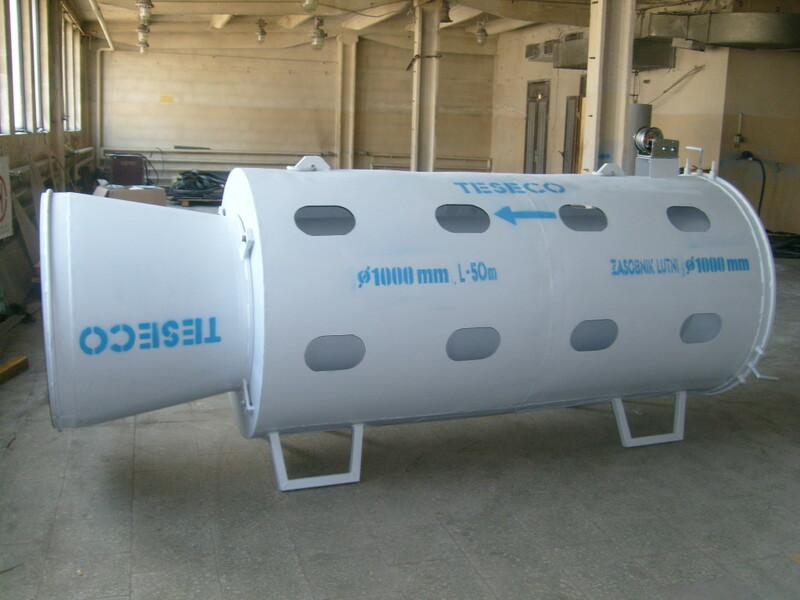 are manufactured by us both in the types TS-LWS for suction and forced-air ventilation and the type TS-LWT for forced-air ventilation. 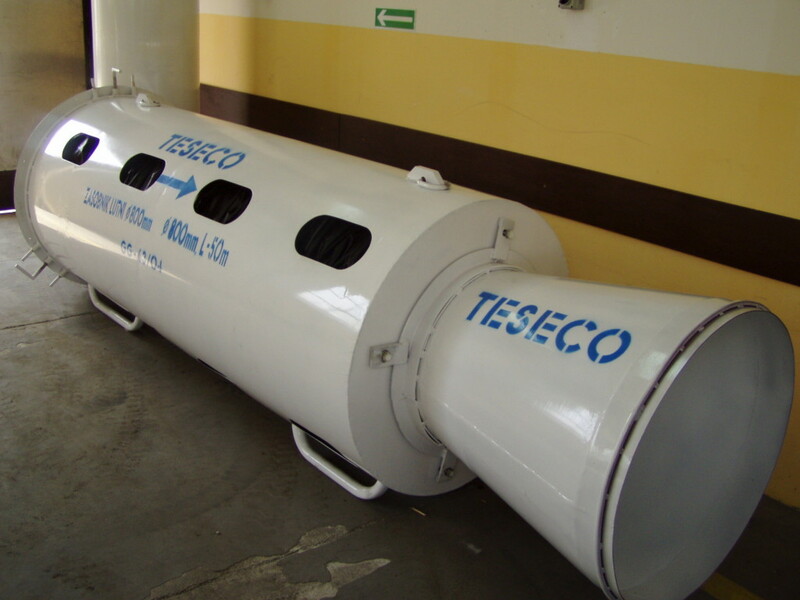 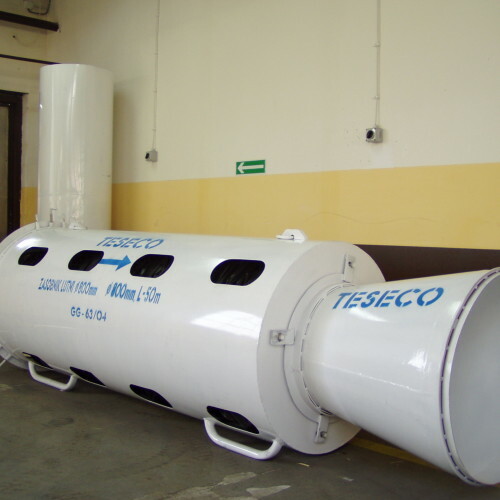 We produce tees, joints and reductions of the type TS-LWS according to the implementation classes of suction and forced-air ducts. 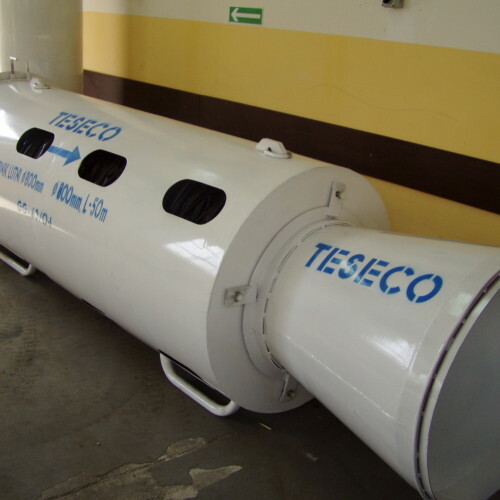 The choice of implementation class is determined by the operating vacuum of the duct line. 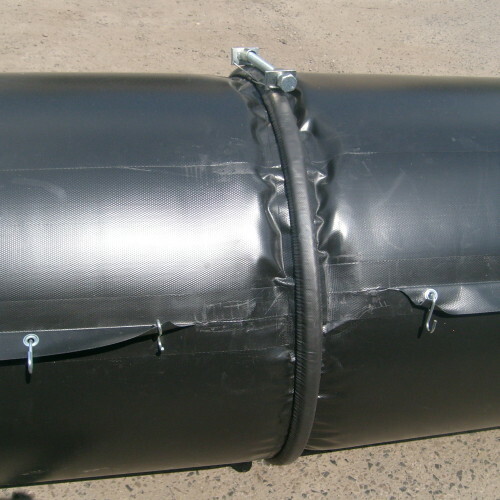 Tees, joints used in forced-air ventilation are made in a “lightly reinforced” version, or in the implementation class “O”. 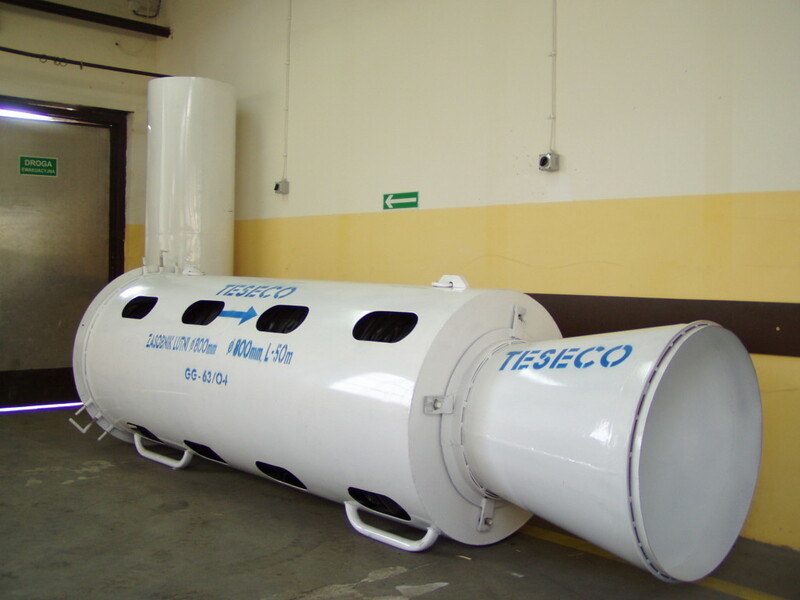 We can produce forced-air and suction tees in various configurations of diameters as reducing tees, and of any length. 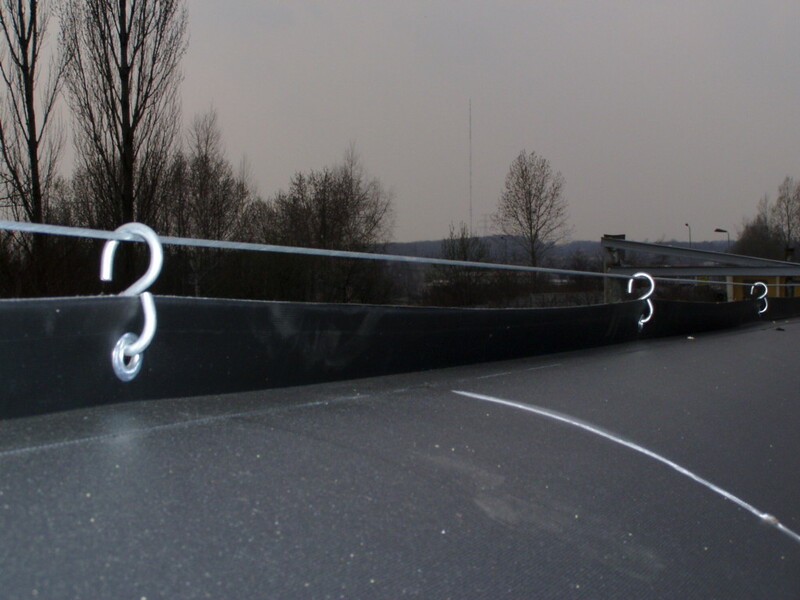 In addition, our reinforced tees TS-LWS, due to their structure, can produce any angle of aperture, so it is possible to make a Y-shaped tee from a T-shaped one in a simple manner. 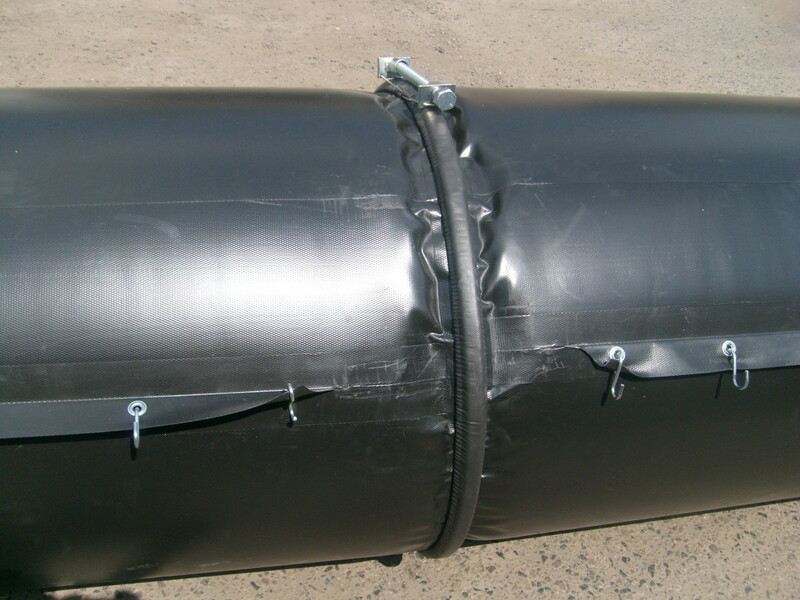 Additionally, tees can be equipped with metal gate valves for adjusting the air flow. 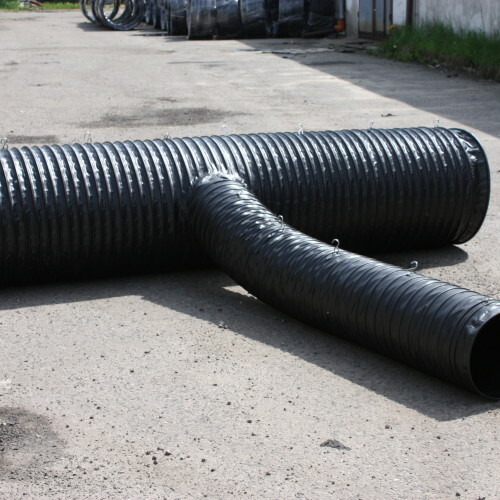 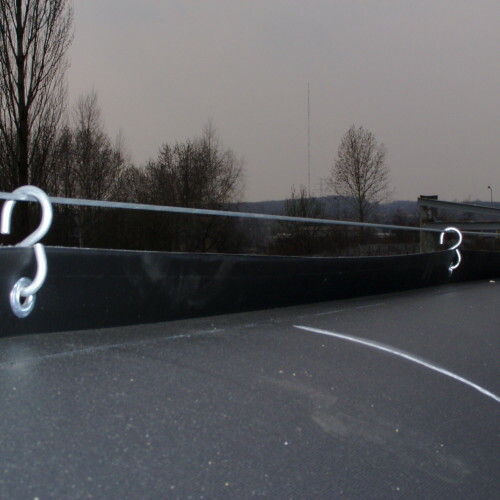 All the above elements can be connected using bolted cable ties both for suction ducts and forced-air ducts. 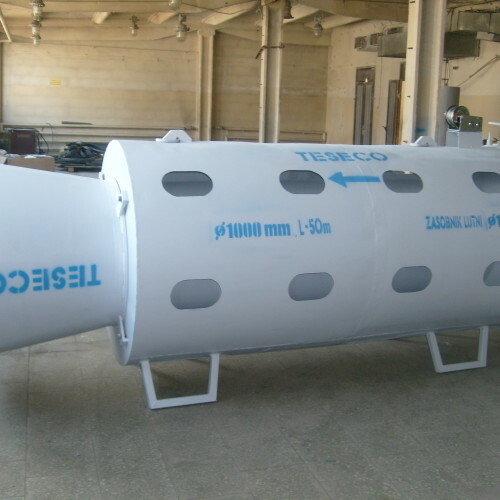 has been designed to improve the operation of ventilation the hollow mine workings made with coal-cutting machines, so as to maintain unobstructed ventilation of the faces along with their rapid progress. 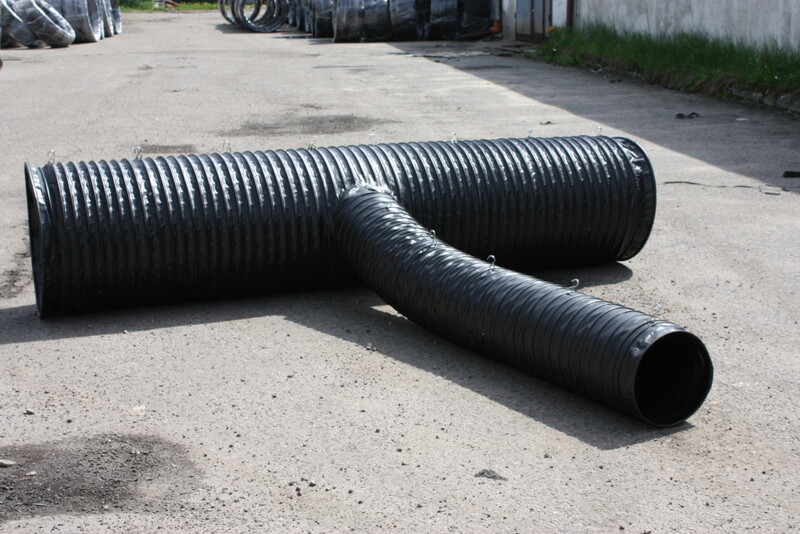 Storage duct consists of a metal tank with a cartridge on which the forced-air duct of a maximum length of up to 50 m is located, and an outlet air diffuser. 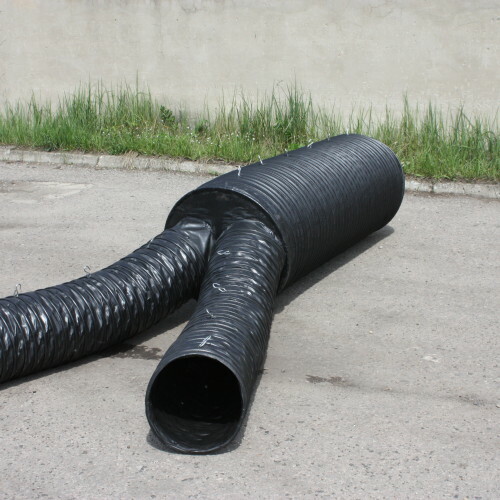 The outlet diffuser is adapted for installation in standard or specialist or ventilation ducts such as whirl-flow or perforated ducts. 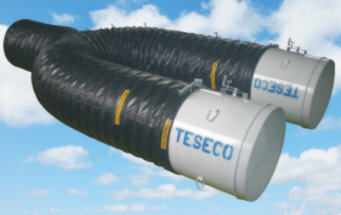 designed for connecting flexible hoses and ventilation accessories of the type TS-LWS and TS-LWT. 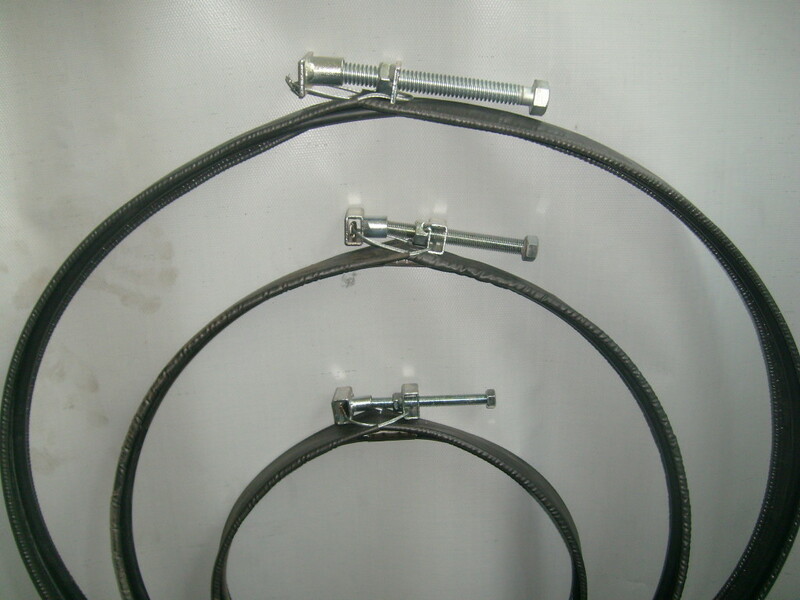 At the request of the customer, we can make cable ties equipped with screwed joints with other types of screws than those mentioned above. 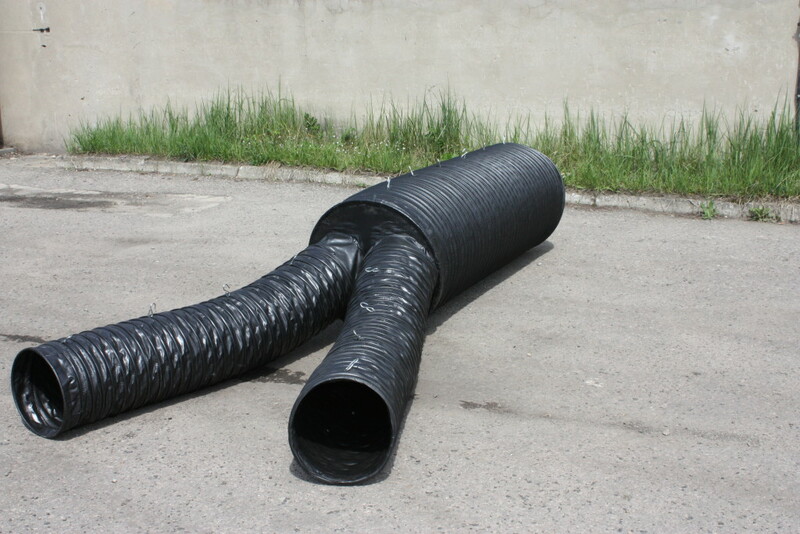 used for hanging ducts of the type TS-LWS and TS-LWT operating in a horizontal position and cannot be used for shaft ducts (operating in vertical position) of the type TS-LWT/SZ. 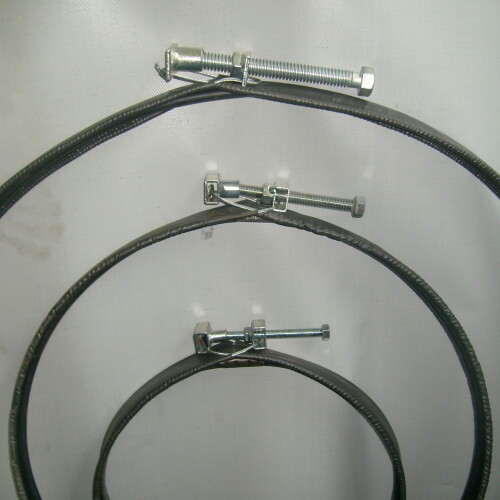 At the request of the customer, we can produce clamping slings of different sizes.